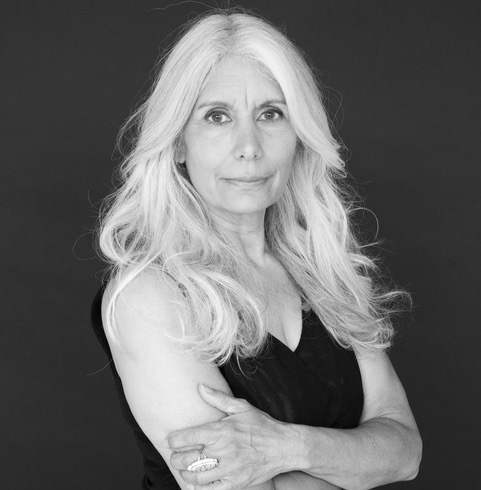 Jani Lauzon has for more than three decades cultivated a career in storytelling that utilizes myriad artistic practices and disciplines. She’s been an actor on stage (from Stratford to the National Arts Centre) and on screen (The Big Comfy Couch, Saving Hope); she’s a Gemini winning puppeteer, a Juno nominated singer-songwriter, and a filmmaker. Of late, she’s been creating her own stage work, and is nominated for two Critics’ Pick Awards this year: one for Outstanding Direction of Factory Theatre’s remount of Coleen Wagner’s The Monument, and one for writing the Outstanding New Musical I Call myself Princess, which premiered at Native Earth’s Aki Studio. Both of my biological parents and my foster parents were creative so I grew up with permission to express myself creatively. It was my foster father who offered me the most access to theatre. He was the high school drama teacher and I watched him direct, teach, inspire and guide young artists. From that experience I have found a great connection to acting, teaching and being an artist educator myself. I was fortunate to grow up with theatre. I also saw many of Canada’s finest sharpen their skills at Fort Steele Summer Theatre. Lots of great artists came through that place, although not many of them were culturally diverse as inclusivity was not the practice of the time. When did you know you wanted to be a theatre-maker? I fell in love with the idea of creative self expression when I was in grade 2 and my mother enrolled me into a Saturday morning creative movement class. The instructor had a portable record player and we would improvise scenarios. We had been tasked with exploring the journey that a young chick would have hatching from an egg. We talked about how sometimes we have struggles and that if we persevere we can over come them. My chick was pretty earnest to hatch and worked hard at pecking away at the shell. When I burst out the egg and felt the freedom of reaching up my arms I had an epiphany. Or it could have simply been the applause I received from my fellow students and the instructor. Either way, I was hooked. That is cruel!! For different reasons I have to mention both Shakespeare in the Rough’s Merchant of Venice where I played Skylock. Sanjay Talwar did an amazing job of directing that challenging play and rehearsing and performing outside was amazing. On the opposite spectrum I adore working with Peter Hinton and was honoured to work on the NAC all Indigenous production of King Lear with the late August Schellenberg. That was an incredible experience. If I was talking about directing I would have to say the recent Factory Theatre production of The Monument. For many years I had wanted to do an Indigenous casting of For the Pleasure of Seeing her Again, but that idea was recently done so I have to think of something else! I am very proud of one of my own projects, A Side of Dreams, which I haven’t touched in a few years. I love the intersection of the multidisciplinary aspects and when I created it, I wanted to put into it all the disciplines that I loved in the event that it was the last thing I did in theatre. You’re nominated as both a writer and director this year and you’re also a performer. How do your many different roles inform each other? Is there one you consider your principal calling? I look at my various disciplines as branches on a tree. The seed, artistic expression and the trunk, my training in many of these disciplines make them all connected. One helps the other. I am a good director because I am an actor. I am a better actor because I am a musician. What attracted you to The Monument as a directing project? For the record, I told Nina at Factory that I wanted to do a comedy. But when she offered me the opportunity to direct the Monument I jumped at the chance. It’s a tough piece. But an important story. Tell us about your decision to incorporate MMIW themes and imagery into Colleen Wagner’s play, which was initially written to address wartime atrocities. There are so many different types of war. There is war that is overt, we hear about it daily in the news, we see the images, we watch the masses die. Then there is covert war. The War against Indigenous peoples is a covert war. It has been in existence since the beginning of first contact so our experience is that play. It’s always great as a director as well when you have permission from the playwright to re-contextualize. Colleen was so generous. We changed about 10 words in the whole play to make it fit in it’s new container. The red dresses in The Monument was the single most visually arresting and emotionally affecting image on a Toronto stage in 2018. Can you tell us about the design work that lead up to that moment on stage? I knew I didn’t want bones, skeletons. I was blown away with the power of the impact that Métis artist Jamie Black’s Red Dress Project has had across the continent. I asked her permission to use her concept within my vision and she agreed. I just wish we could have acknowledged her work on a grander scale. Your other big Toronto stage project this past year was I Call myself Princess, a deep dive into 19th century operetta and cultural appropriation. What drew you to Tsianina Redfeather’s story, and informed the very personal angle the play puts forward about her decision not to use the opera as a vehicle for personal stardom on the stage of New York’s Metropolitan Opera? 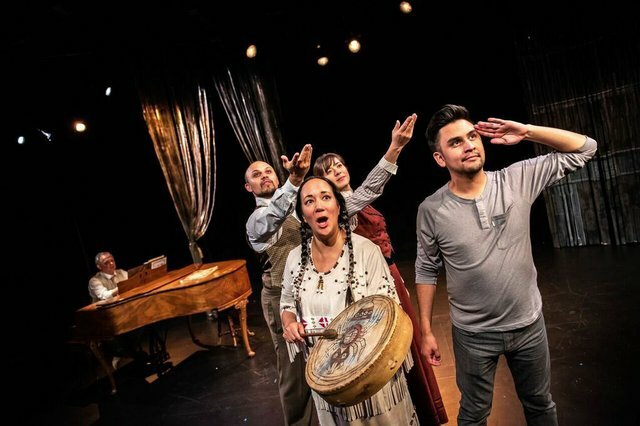 In the last year of Turtle Gals Performance Ensemble as a company, a Native Woman’s ensemble that I co-founded, our final show as The Only Good Indian. We had been researching Indigenous performers at the turn of the century and I came across Tsianina Redfeather. I was so intrigued with her and the choices that she had to make in order to have a career. The broader theme of the play is appropriation and the place that Indigenous people had in their own identity at that time. The hard part is that some things have not changed. The expectations of audience when intersecting with Indigenous content still has the colonial gaze in power. Tsianina tried, in her own way, to change that while creating stereotypes at the same time. With all your stage work as a director, writer and performer over the past few years, I found it interesting to note that you are credited mainly as a puppeteer in your Wikipedia bio. Can you tell us about how that part of your artistic practice informs your directing? Might there be an element of puppetry in your stage work to come? As I mentioned earlier, in my play A Side of Dreams I incorporated puppetry as a key element. Just need to get that show back up and re-produced….ahh that Canadian playwrights dilemma…. I had the pleasure of being inside one of the Polar Bears and manipulating the baby polar bear at the same time as playing a character in Stratford’s The Breathing Hole. That was awesome. As for the Wikipedia page, I guess I should write in and have them update that! You also worked on The Orchard last season, which is also nominated for New Work. What insight can you give us into that experience working on the world premiere? Sarena [Parmar] did a wonderful job researching and finding the heart of the story. It was great to be working with such an amazing group of artist. It’s not without it’s challenges though, that process of birthing new work. 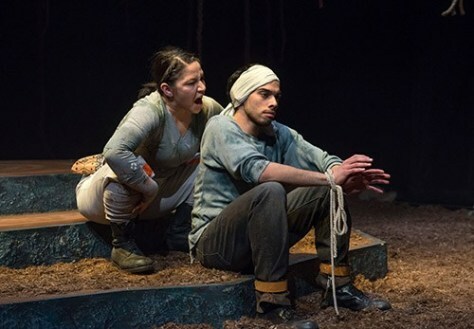 As one of the foremost Métis theatre artists in the country, what is your perspective on the existing opportunities or lack thereof to amplify Indigenous voices in the arts? Are there specific changes you’d like to see happen? I have been advocating for change for years. I have followed in the footsteps of those who have come before me to ensure inclusivity and intersectionality. I have done so through theatre and also as the Diversity Advocate at ACTRA for several years. We have come a long way. We are not there yet but I am finally seeing the fruition of all the work that several of us have been doing since the 1980’s. It’s a dream come true. I am currently at the Shaw Festival directing Rope by Patrick Hamilton. As I write we are into our 3rd day of rehearsal and it’s a dream cast and team. I am very blessed. Following that my one woman show Prophecy Fog will be up at The Theatre Centre from May 14-26. I am thrilled to be nominated this year in two different disciplines. Glad I didn’t listen to those early on in my career who said that I should pick one.